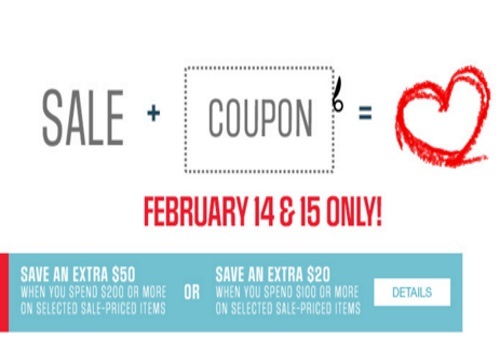 Sears Canada has a special promo code for Valentine's Day! Save up to an extra $50 off with the promo codes below! Offer is valid February 14-15 2016 only. Also sign up for their newsletter and get $10 off your next purchase of $50 or more.